Check out KRL’s review of Bobbi’s mystery novel Lone Star Death & enter for a chance to win a copy of the book, here in this issue. Over my long writing career (over 30 years), I’ve been fortunate enough to publish quite a bit–non-fiction magazine articles, non-fiction books for adults, poetry, early readers for children, a mystery novel (Lone Star Death), personal essays, columns, a handful of short stories and thousands of blog posts. I don’t like being bored, so I do allow myself to periodically branch out and try new things. And realistically, the market for magazine articles has changed over those years. I found it practical to be flexible enough to write a variety of things. My first love has always been fiction. Finishing and publishing my first novel was a milestone in my life. But it didn’t feel right to plunge immediately into a second one. Through blogging and writing a series of short personal essays, I discovered how much I loved writing shorter things. It wasn’t until about five years ago that I considered writing plays professionally. After all, I’d been told that they were hard to write. I dismissed that, figuring that writing a play couldn’t be harder than writing a novel. As a teenager and young person, I wrote plays just for fun, acted and sang in numerous school and community productions, and later on assisted with several theatre productions in Austin, Texas. I knew just enough to get me started. I was delighted to find that I took to playwriting like a fish takes to water. And I also found that I LOVED writing plays. The way I write is very visual and I don’t like writing long passages of narrative. I actually see the characters in my head acting out their parts and talking to each other. Sometimes they take over and it actually feels like I’m taking dictation. And they surprise me, constantly. I was also pleased to find that the “newest” thing these days is the popularity of the ten-minute play. Starting out with a ten-minute play was just the thing I needed to get my feet wet. My first finished play was based on some short story notes I’d made years before. Annierella & the (Very Awesome) Good Queen Fairy Cowmother is a spoof of the classic Cinderella story, Texas style, with a crazy twisted ending. After I submitted the play to a ten-minute play festival and it won First Place, I was hooked. Not long after that, Annierella was published by Brooklyn Publishers and has since gone on to have productions in several different states. I discovered that writing plays was very freeing in a completely different way from writing short stories. I still haven’t figured out why, except that the whole world of theatre is much more apt to “do quirky” and to accept the experimental or stories with crazy characters—especially the plays written for young adults and children. My writing has a sense of absurdity to it that definitely shows up in my plays and somewhat in my short stories. I love word play, and use a lot of alliteration, bouncy language and rhyming words. One issue that I’ve run across is since my stories can’t easily be categorized, they can’t be put into a specific genre. Some have called my writing speculative fiction, some strange fiction, and some absurdist fiction. In the playwriting world, though, they are simply categorized as comedies. Since March 2009, I’ve written three full-length comedies and dozens of ten-minute plays. A second ten-minute play, written as an unpublished children’s book back in 2004 (Little Red Riding Boots & Cooter Coyote & Master of Disguise) also won First Place in a recent festival and I’m looking forward to seeing it published soon. Two of my full-length plays won prizes from a children’s theatre and two monologues are included in an anthology published by Dramatist’s Play Service for middle school actors. I recently rewrote one of the full-length award-winners, Princess Primrose & The Curse of The Big Sleep, a mish-mash spoof of noir detective stories, in novel format. I plan to self-publish it through my Limestone Ledge Press before the end of the fall. Some say that you can’t write both plays and good fiction. I disagree. I have found, though, that writing plays uses a different part of your brain; it’s a whole different thinking process. For me, there’s always a transition period between the two. I can’t seem to go directly from writing plays to writing short stories or chapters of a novel. As an experiment, I published The Journal of Mina Harker play, a comedy spoof of the Dracula classic, as an e-book for the Kindle. I’ve sold some copies to those who love reading plays, and some who just love a good vampire comedy, but unfortunately, people aren’t used to reading plays as a leisure time activity. Maybe it goes back to high school when we read the same classics over and over. After the e-book had been out for a few months, I made the decision to rewrite it in novel format. At first, I wasn’t sure I could turn a play into a short story. When Lorie here at Kings River Life put out a call for stories about Edgar Allan Poe, I told her I had a short ten-minute play that I’d written for Valentine’s Day. She expressed a preference for a short story, so I decided to use that as a test to see if I could actually turn one of my plays into a short story. I have to admit I was stuck for a while. I could see the two characters walking around, talking, performing little bits of action. I had the dialogue, but what were they actually doing? I stumbled along for a few days, then decided to slowly re-play it in my head, scene by scene. I basically watched the characters and wrote down what they were doing at the time. Edgar picked up his pen and scratched out a few words. That became part of the narrative in my story. Virginia walked into the room and watched him for a few minutes. It was tough going, but eventually a short story emerged. Edgar Allan and Virginia, Forevermore was published in the May 12, 2012 issue of Kings River Life. That was a breakthrough of sorts for me, as well as being my first short story publication in an online magazine. I’m still not totally comfortable with the whole “novelization” of my plays, and it doesn’t happen nearly as fast as I’d like, but I do plan on experimenting with the technique and turning more of my short plays into stories and offering them as e-books. For the authors who are reading–experiment, and try writing a ten minute-play using two characters. Listen to what they’re saying, and just write down the dialogue, using ONLY dialogue to get the meaning across. THEN turn it into a short story. Go back and watch the characters performing for you, and add that to the story. Or vice versa—write the story first, then turn it into a play. I guarantee it will loosen up a few cogs in your writing brain. Details will emerge as you actually “see” the story played out in your head that you might not notice otherwise. These will only serve to make your story richer. And for the non-authors who are reading–try adding plays to your reading list. There are many e-scripts available online and published for the Kindle and other e-readers now. You might find that you actually like reading plays. As for me, as long as my characters “act out” and do crazy things, I’ll be there to write their stories. 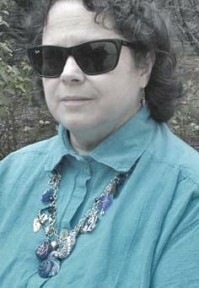 Bobbi A. Chukran lives in central TX where she writes full-time, herds cats, gardens, is remodeling an old 1930 house and blogs. Learn more about Bobbi & her writing check out her website & writing blog. Very interesting post, Bobbi. I just put LONE STAR DEATH on my Kindle and look forward to reading it.